A classic reception activity, coloring is a favorite of kids everywhere, and it's also one of the best ways to build fine motor skills. 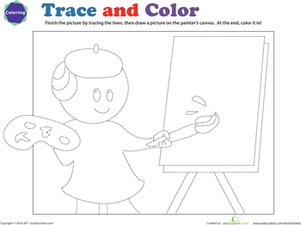 This coloring page takes things one step further: by tossing in some tracing practise to help with handwriting. So break out the pencils and crayons, and let's get tracing! 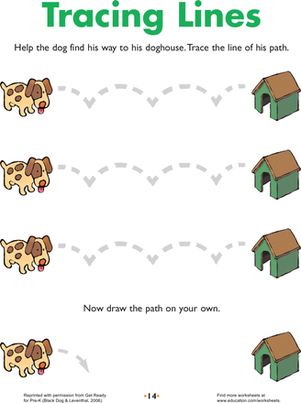 Can't get enough tracing fun? 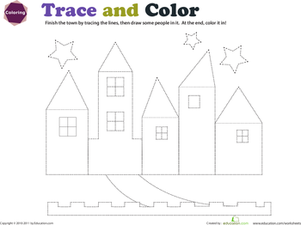 Try a trace and colour DogOr City. Introduce your child to clubs and spades with this tracing worksheet, where he'll trace the picture on each card.